LIDAR’s ability to capture high-resolution, high-accuracy, extremely dense point clouds of scanned areas and objects is of value in many applications. Any process that requires an accurate 3D representation of an area is a process that can benefit greatly from LIDAR technology. 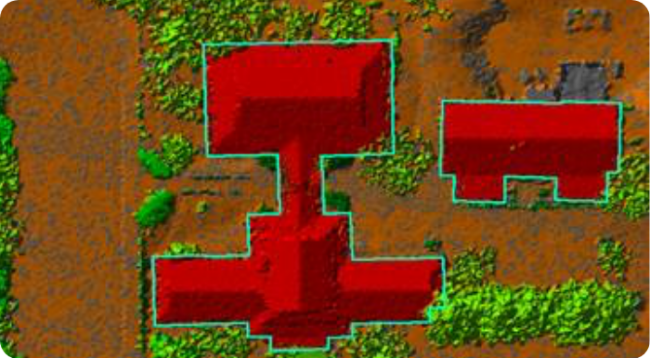 LIDAR’s unique ability to capture vertical structure such as tree canopy or areas of low visual contrast (or at night) also provides significant benefit over more traditional approaches such as photogrammetry. LIDAR is a very effective tool for capturing elevation data over large wide-area projects such as city, county or state-wide aerial mapping programs. Typically using airborne data collection from fixed-wing aircraft, 1,000s of square miles of terrain can be mapped effectively at high accuracy and high resolution. Due to the unique nature of the laser system used in LIDAR mapping, the ground beneath any tree canopy will be mapped when the laser pulse passes through openings in the canopy and reaches the forest floor. Advanced classification tools in LP360 and Terrasolid can then be used to extract a bare-earth surface beneath the tree canopy, allowing you to virtually clear-cut the terrain to see what is beneath the trees. Once a bare earth surface is extracted, the LIDAR point cloud data is then used to generate standard map products such as a bare earth digital elevation model (DEM) or a traditional contour map. Above ground features such as buildings or trees can also be classified in the point cloud and extracted as feature layers for the map. LIDAR is not only available as an airborne mapping tool; mobile mapping, where the LIDAR sensor is mounted on a car, van or truck, is increasingly used for surveying roads and highways. Such specialized vehicles also capture oblique imagery, often as 360° panoramic images, in addition to the LIDAR point cloud data. These LIDAR data sets provide rich, high-resolution, highly accurate source data for a variety of applications from extracting engineering features such as edge of curb to identifying signage as part of an asset management program. 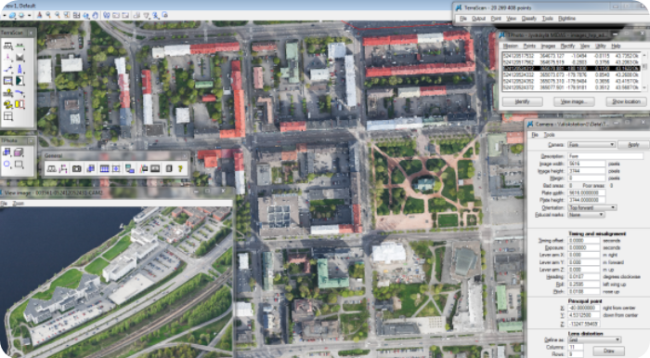 LP360 and Terrasolid provide a range of tools for working with mobile mapping data from sensor and camera calibration through feature extraction. 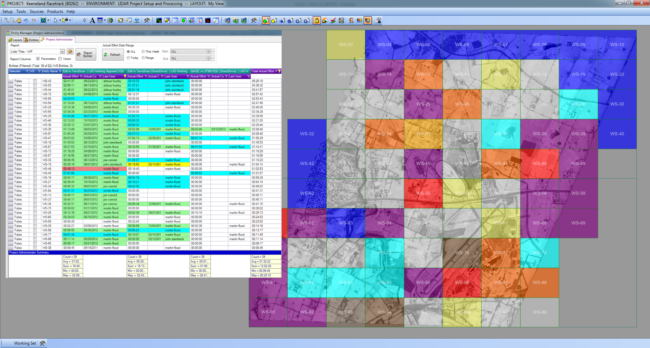 GeoCue provides a robust project tracking and data management framework for these large complex data collects. LIDAR data has proven to be a very reliable method for mapping electric power lines and similar infrastructure for utilities. 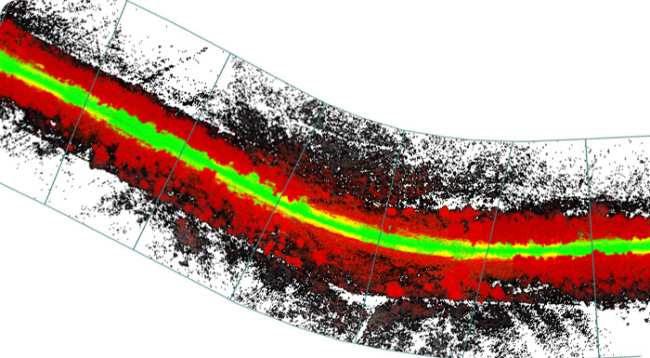 Due to the high density of the point sampling and the active remote sensing approach, LIDAR is ideal for mapping thin objects that are difficult or impossible to measure with other techniques. By applying automated feature classification routines to the point cloud, the catenary of the hanging cable can be accurately mapped and extracted. Utilities can then use this data in engineering design software or as part of obstruction –danger tree –analysis to find encroaching objects that need attention. 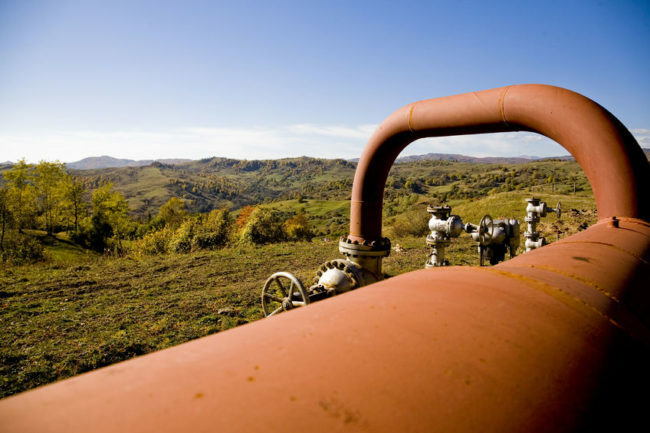 The rapid and cost-affordable acquisition of mapping data along pipeline corridors is a critical component of maintaining these facilities. Timely, accurate terrain data is needed for both maintenance work, construction planning, risk assessment and safety programs. LIDAR mapping offers an excellent tool for such data acquisition with a fast turn-around time to acquire a high-resolution, high-accuracy point cloud of the ground and all above-ground assets. Airborne, mobile and static scanning LIDAR systems are all used in this application. Increasingly, UAV/drone data sets are making an impact as well. 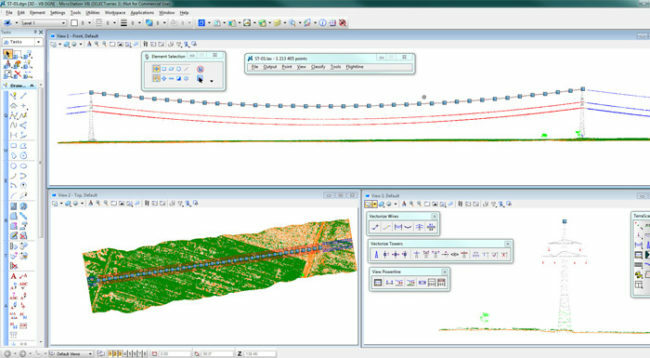 LIDAR mapping software programs such as LP360 and Terrasolid offer the tools necessary to rapidly assess and analyze the pipeline corridor for features of interest. Quality checking LIDAR data is a critical task when receiving point cloud data from a vendor. Inferior quality data or data that is incorrectly classified or that does not meet your accuracy specifications needs to be identified, isolated and repaired before those errors propagate into your downstream applications. Having a robust set of QC tools makes the task of reviewing and approving LIDAR data sets much more efficient and effective. Both LP360 and Terrasolid contain an extensive set of tools for verifying the accuracy and quality of LIDAR point clouds. Integrating these tools into a rigorous workflow for reviewing point cloud data will prevent poor data from slipping through to your end users. Organize and manage your LIDAR data across your entire project portfolio and production team. GeoCue manages file-based data in a distributed warehouse system that is accessible by all users and workstations in your GeoCue deployment. Dispatched batch processes and remote users have access to the same data as local users and processes, which dramatically simplifies data management across branch offices and remote contractors. Integrated version control and backup tools reduce risk and simplify the management of all your mapping data across all your projects. Even if you are a one person or small production shop, you will see gains in production efficiency simply by eliminating much the of the manual file management overhead. Eliminate the time spent searching for your LIDAR data! The most direct benefit to working with LIDAR data is the most obvious; the ability to visualize and make 3D measurements of objects directly in the point cloud. Using LIDAR mapping software, such as LP360 or Terrasolid, you can view, rotate, zoom in and out and make measurements of objects. Measurements that would require time-consuming, costly and often dangerous field work, for example verifying a bridge clearance or a confirming a stockpile height, can be accomplished in the office directly on your desktop. Since LIDAR data is geometrically correct, measurements made while viewing the point cloud are highly accurate. Simple linear distance measurements can be supplemented with area and volume calculations depending on your application. Interactive measurements can be replaced by automated measurements, for example cutting stream profiles at regular intervals, to streamline workflows. 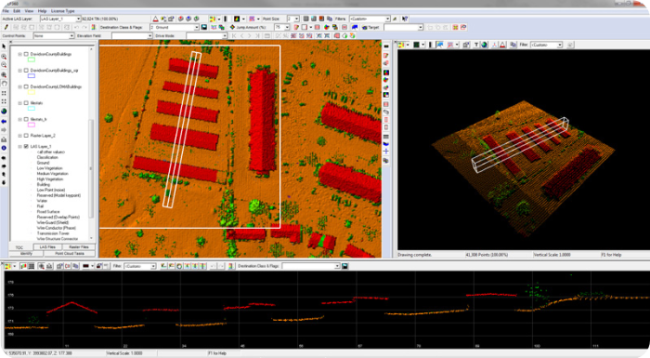 LIDAR point cloud data contains above-ground features that can be extracted for various applications. 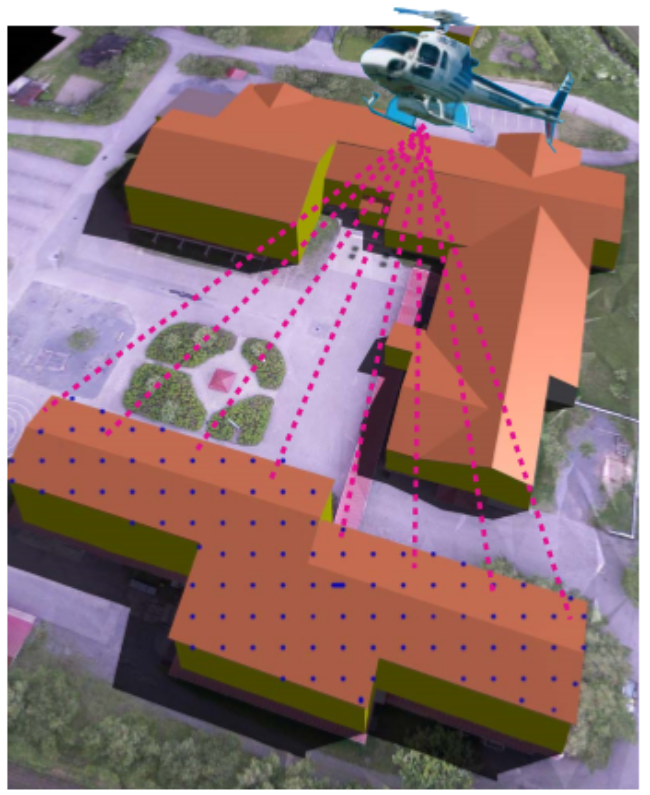 Building extraction –automatically defining the footprint of a structure –is a common application that has benefited greatly from adopting LIDAR data as its primary data source. By using search routines in software for LIDAR data processing like LP360 or Terrasolid, points that are on a building roof can be classified and then extracted to generate the footprint of the structure. Additional attributes such as the building height can be captured along with the footprint for use in downstream processing. This data can then be used from tax planning to building inventories.